Two HIV -positive patients show no trace of virus after receiving chemotherapy and stem-cell transplants as treatment for lymphoma, according to new research. These patients have become the second and third known cases of a “sterilizing cure,” in which medical treatment removes all traces of HIV — the virus that causes AIDS — from the body. They have remained virus-free even though doctors’ months ago took them off their HIV-targeted medications. “We have been unable to detect virus in either the blood cells or the plasma of these patients,” said lead researcher Dr. Timothy Henrich, of Harvard Medical School and Brigham and Women’s Hospital in Boston. “We also biopsied gut tissue from one of our patients, and we were unable to detect HIV in the cells of the gut. Unfortunately, this type of cure is not something that can be put into widespread practice for all people infected with HIV. “Transplantation is not a scalable, affordable or even safe treatment for HIV patients,” Henrich said. The so-called “Berlin patient,” Timothy Brown, is the first documented case of a sterilizing cure for HIV. An American man living in Germany who received a bone marrow transplant for leukemia, Brown has remained HIV-free even after discontinuing his antiretroviral drug therapy The transplanted bone marrow cells came from a donor who had a rare genetic mutation that increases immunity against the most common form of HIV, and researchers believe that helped protect Brown from re-infection. In Mississippi, US, a baby born with HIV nearly three years ago is the first case of a “functional cure,” in which early treatment eradicates the virus. 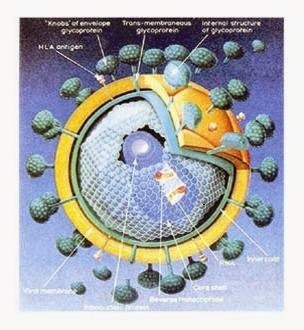 Immediate treatment with antiretroviral medications rid the child of all traces of HIV within the first month of life, and she has remained virus-free even after discontinuing drug therapy at 18 months of age. This story was published in Newswatch Times on July 6, 2013. I am indeed very happy for my life; My name is Sonia Stevens I never thought that I will live on earth before the year runs out. I have been suffering from a deadly disease (HIV) for the past 5years now; I had spent a lot of money going from one places to another, from churches to churches, hospitals have been my every day residence. Constant checks up have been my hobby not until last Month, I was searching through the internet, I saw a testimony on how DR. Ben helped someone in curing her HIV disease, quickly I copied his email which is (drbenharbalhome@gmail.com).I spoke to him, he asked me to do some certain things which I did, he told me that he is going to provide the herbal to me, which he did, then he asked me to go for medical checkup after some days after using the herbal cure, I was free from the deadly disease, he only asked me to post the testimony through the whole world, faithfully am doing it now, please brothers and sisters, he is great, I owe him in my life. if you are having a similar problems just email him on (drbenharbalhome@gmail.com) or simply whatsapp him on: +2348144631509.He can also cure disease like Parkinson,Cancer, Diabeties, Herpes. Etc. You can reach me on email: soniastevens1995@gmail.com?